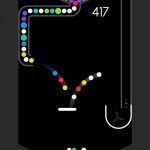 Twisty Road is the latest endless runner created by Voodoo, a French mobile game developer, which is responsible for addictive titles such as Chilly Snow and Go Plane. 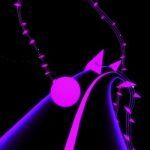 In Twisty Road, you will be taking control of a white ball. It is your job to guide that white ball through an endless twisting road. Navigation is easy enough to pick up. You just tap the left side of the screen to turn left, and tap the right side to turn right. Of course, mastering the controls is never as easy as learning it. The endless road will continue to twist and turn into complicated angles. You will even see some of the road as it twists below you. If you are brave enough, you can jump off the side of the road, and land on the segment below. Don’t forget to check our Twisty Road tips and tricks if you want to get top scores! 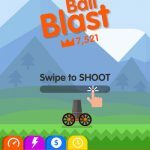 As we mentioned above, you need to tap on either side of the screen in order to make the ball turn. You can expect a lot of turns in the game since the road keeps twisting. The twists in the road vary in shape and size, so you will often find yourself needing to make small turns. If you want to make a small turn, you will need to tap lightly but quickly. This will make the ball turn bit by bit until you are finally facing the direction you want. It requires a lot of practice, but you will be able to get used to this after a while. One problem most endless runners have is that it can be difficult to tell if you are making any progress. You will know if you are doing well in this game if you see the road change colors. At first, it will just be the basic red road. After you hit 15 points, you will see the road turn green. When you have 30 points, it will turn blue. The road will continue to change colors as you hit milestones in terms of scores. Twisty Road requires a lot of patience and focus in order to get high scores. Unfortunately, it will be difficult to stay focused if there is an endless supply of pop-up ads to distract you. The good news is that there are two ways for you to get rid of them. The first option, of course, is to just shell out a couple of dollars to purchase the premium version of the game. If you want to hold on to your money, however, then you can just put your device on airplane mode. The ads are stored online, so if you can’t connect, there won’t be any ads. Twisty Road records your score in every game. If you want to see how well you are doing compared to other players, just check out the Game Center or Google Play. 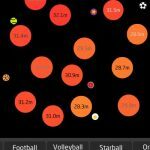 This will show you the top scores from the best players from around the world. The current highest possible score is 500, so it is definitely something you want to aim for. Of course, the number could still go higher in future updates, so keep practicing even after you hit 500! The danger of falling off the edge is always present, but that’s what makes Twisty Road so exciting! Don’t forget to use the tips and tricks listed above and you won’t have any problems!